The Council are delighted to welcome Mrs Louise Lawrence who was co-opted onto the Council at the meeting on 5th September 2018. The tree replacement scheme has been agreed by Council, and there are spaces in Banks Park for 9 replacement trees. 2 to fill in the gaps along the High Street. The Parish Council have met with Peter Bone MP to enlist his help with this campaign which was agreed at the last full Council meeting. A petition is being set up and will be lodged at strategic places for residents to sign at various points throughout Finedon, should you wish to add your name to it. Peter Bone has agreed to take the matter to Parliament as well as writing to the Practice and the Care Commissioning Group. To have your say directly to the practice, please ask the health centre reception staff for a survey or you can complete the survey online by visiting www.surveymonkey.co.uk/r/3JXBDS8. Local Government Reorganisation An extraordinary meeting of the Parish Council was held on 19th September 2018 (after this article was written) to discuss the impact that the Governance Review by Wellingborough Borough Council will have on Finedon. If you would like to take part in this review please follow this link https://www.surveymonkey.co.uk/r/LVTYQ72 . 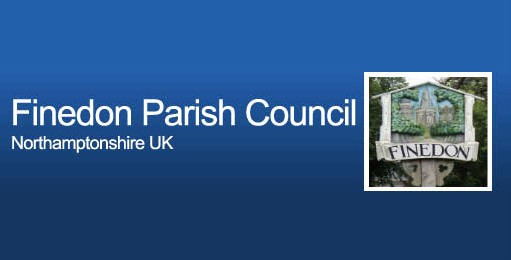 As part of the local government reorganisation in Northamptonshire, the Parish Council have requested that Pocket Park, which includes Tainty Field, be transferred to Finedon Parish Council from WBC which will no longer exist. As you are aware, the Parish Council already maintains the Pocket Park so the impact on Finedon’s finances will be negliable. The extraordinary meeting also discussed the other assets currently owned by WBC, including the Recreation Ground (incl disused toilets) and the Town Hall and whether or not Finedon Parish Council should request their transfer and take over the running of them. Again, the impact to both the Parish Council and the residents of Finedon will have been considered before any decision was made. A meeting in the Town Hall was held on Wednesday 12th September at 7pm at which following Cllr Kendall-Torry’s introduction, it was agreed that wider information would be gathered from neighbouring communities and NCC. A community leadership team was not appointed and it was agreed to reconvene to carry the plan forward. As usual, please feel free to contact me should you have anything you wish to bring to the Council’s attention. Providing it is within the Council’s remit, we will try our best to make Finedon a better place to live.